Take What You Need is an innovative jewellery line from Dutch designer Mi Moneda. Adapted from the phrase "Take what you need and give what you can," inspiration is key in this collection. Each piece features a specific word or meaning that is designed to motivate the wearer. 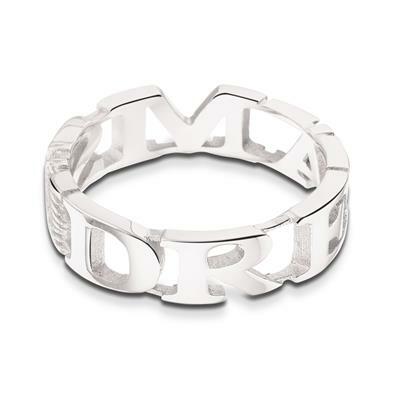 Dream big with this beautiful filigree Stainless Steel ring, which consists of the word "dreams" in an artful cut-out style.